We live in an exciting and challenging world today. Every year more and more different technologies are emerging right in front of us. And while to some of us it may seem very frustrating and overwhelming to cut through all that information, for others it might open a perfect opportunities for business and personal wellness growth. However, not all new technologies can bring value to the financial industry. Currently we see three particular directions that for a sort of unique combination and can be the source of competitive advantage for banks in some regions in the coming years. 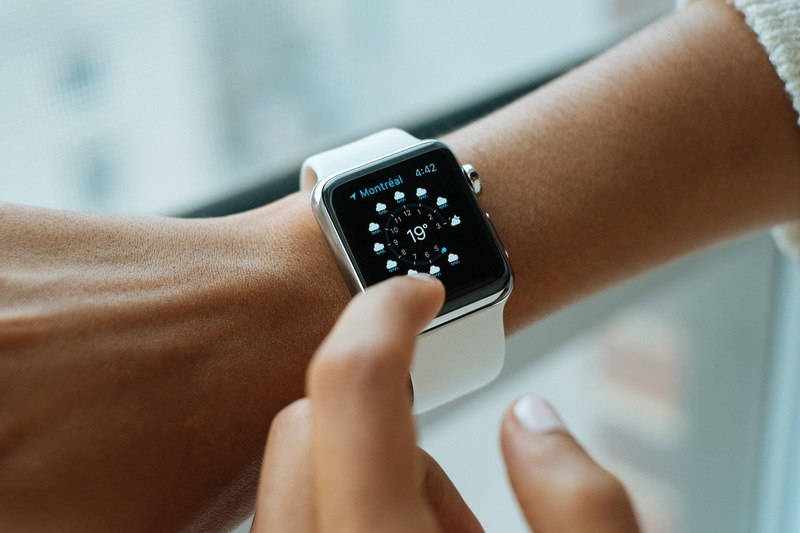 Those are mobile payment applications (like mobile wallets), wearables (such as smartwatches) and fast and convenient contactless payments technologies. It’s no secret to anyone that smartphone adoption was growing steadily for many years in the row. But if we just look back just how large it grew in the past, the numbers are impressive. From 2007 (roughly the year when smartphones began to take traction worldwide) up to 2016 smartphone sales grew at least ten times, from millions of units to billions of units sold worldwide. In fact, in recent study, conducted by Statista, by 2019 it’s expected that every third randomly chosen person anywhere in the world will have a smartphone in his pocket. Actually, offering financial services through mobile is nothing new and banks and other financial institutions have been doing that for years now. But we believe we are just at the beginning of the complete paradigm shift now. Up to now financial institutions were viewing mobile just as a complementary digital service for the existing banking and financial services model (with physical branches and presence). But with the rise of mobile wallets that allow customers to register once, and after that make 1-click-payments to local businesses for the used services, make instant peer-to-peer money transfers and use the technologies like HCE (Host Card Emulation), NFC and contactless payments that is soon going to change. Just imagine a world where you are able to use a single device like smartphone (or better yet, a wearable piece, but we will get to that in a minute) for using any financial service you need, without ever having to visit banking branch. How convenient would it be? And, in fact, there are already numerous such banks (Tinkoff Bank or Fidor Bank, for example) that already provide banking services 100% online, without having physical branches. But there is much bigger potential in it. Host Card Emulation technology, for example, can be effectively added to the mobile applications in order to facilitate in-store payments with mobile phones, by turning them into the contactless card. By blending HCE Technology, mobile wallets and branchless banking, for the first time ever customers will be able to experience a true digital banking through their smartphone – making money transfers, payments in stores, opening and closing accounts, making investments. All from one single application. And spreading of the HCE Technology is already happening! According to the recent Global NFC Transaction Market 2016-2020 report, prepared by Research and Markets, NFC transaction market is set to grow at least 50% during the next four years. This shows strong evidence that the NFC & Contactless payments are gradually becoming the new norm, especially as almost all new phone models coming out today are equipped with NFC transmitters by default. Another trend that’s even more exciting today is wearables. According to the latest Juniper Research, mobile & wearable contactless payments will hit the $100BN mark by 2018. If a few years ago banks and financial institutions were viewing their branches as a core banking service and mobile application as a channel to access it, then in this new reality mobile applications will eventually become the new core banking service and wearables will provide convenient access to it. It will be possible starting next year, when Google will officially release it’s Android Wear 2.0 system, which will not require watch-smartphone pairing anymore. Starting this Android Wear 2.0 release, wearables will become completely separate devices with their own web connectivity and play store, offering specifically tailored applications for Android Watches. Currently we are already working in that direction in order to provide our customers not only with a standalone mobile wallet with HCE support, but also wearables and other devices in the ecosystem that can be used for banking. Just imagine yourself in any experience, where carrying even a smartphone would be inconvenient (running/sports activities and others). By having an Android Watch, for example, containing light version of a mobile banking application, you could easily check your account balance, make quick payments with one tap, and even pay for that bottle of water you stopped to buy by using nothing more than a watch. Based on our internal research we recently conducted by interviewing 25 banks in different countries of EMEA region, almost 55% of respondents mentioned that integrating at least one of the services, mentioned in this article (HCE, mobile wallets or wearables) was within their strategic priorities for the coming 3 years, but 64% of clients that already use HCE technology as part of their offering mentioned wearables as their next thing to consider. So, in conclusion … do HCE & Contactless payments, mobile wallets and wearables form a perfect combination for a market shift in banking service channels? Absolutely! The technology is there and is waiting for the brave enough people to capitalize on it. Will everyone be able to benefit from it? Well, it depends. As with any technological advancements it’s the most innovative organizations, with strong ability to adapt to changes that will be able to thrive in this new environment. So it’s up to you to decide where you want to reside – within those 55% that are actively planning changes now or miss these important opportunities.